The word Credo means, I believe. The Credo experience is anchored in a week-long seminar and includes a pre-seminar assessment and post-seminar resources so that participants can deepen their commitment to lifelong wellness. 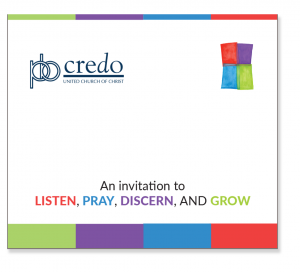 Credo is a holistic wellness benefit that offers clergy space and resources designed to provide opportunities to examine significant areas of their lives and discern prayerfully the future direction of their vocation as they respond to God’s call in a lifelong process of practice and transformation. Participants will be challenged to develop specific plans to enhance their lives. Spiritual, Vocational, Financial, Psychological & Physical Health. What happens at a Credo seminar? A holistic understanding of wellness is the cornerstone of the Credo process. Seminars include a carefully-crafted blend of learning opportunities and activities that support an experiential learning model. The design seeks to honor each person and recognizes that participants have different needs and learning styles. May 14-20 Credo in Richmond, VA. Let’s continue our support for the victims of Hurricane Florence. ask for the prayers of the whole congregation as I attend this learning and retooling conference. The pre-seminar materials have already challenged me as I prepare. lodging, food, and transportation, they have also given me a $500 scholarship to cover my registration fee. 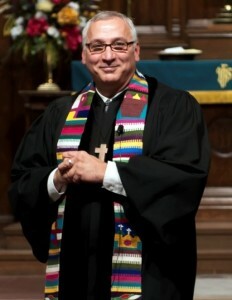 Boards cares about our clergy and provide this financial support for a time to enhance my vocation.